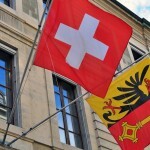 In Switzerland, citizenship applications can be rejected by town councils if the applicant is not deemed to be fully integrated. In large communes (French) or Gemeinde (German), such as big cities, the process is quite administrative. You sit tests and if you pass you get a green light. In some small towns however decisions can become subjective. Commune meetings are held and votes are cast. Earlier this year, anti cow bell campaigner Nancy Holten, a 43 year old dutch citizen who had her Swiss citizenship application rejected twice by the commune of Gipf-Oberfick where she lives with her three Swiss daughters, learned that the canton of Aargau had overruled the commune’s decision to reject her application, clearing the way for her to become a Swiss citizen. 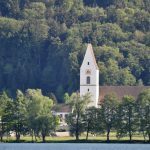 Now, according to 20 Minutes, a woman in the commune of Buchs, Aargau, has had her application rejected by the Gemeinde because of her lack of Swissness, in particular her sports knowledge. Asked to name a typically Swiss sport, she said skiing rather than Swiss wrestling, known as Schwingen or lutte suisse. Another acceptable answer appears to have been the ancient Swiss sport Hornussen. The Gemeinde’s government voted in favour of rejecting the application 20 votes to 12 with 5 abstentions. A transcript of the interview was posted by the magazine Schweizer Illustrierte. It covers many aspects of life and includes questions such as why she has debt while still living at home, detailed questions on health insurance, exercise habits and whether she has holidayed in Switzerland and been hiking. One commenter on 20 Minutes’ website, who asked their Swiss colleagues the question, reported that none answered the typical Swiss sport question “correctly”. The woman, Funda Yilmaz, a 25 year old with Turkish parents who works as a draftsperson in civil engineering, was born and grew up in the Swiss town of around 6,000 residents. She says she was born in Switzerland and knows no other life. 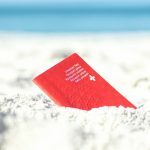 Alan Cassidy of the Tagesanzeiger newspaper wrote that the published transcript reveals the official arbitrariness and embarrassments of the Swiss naturalization process. Yilmaz has since taken her case to the canton of Aargau’s government.